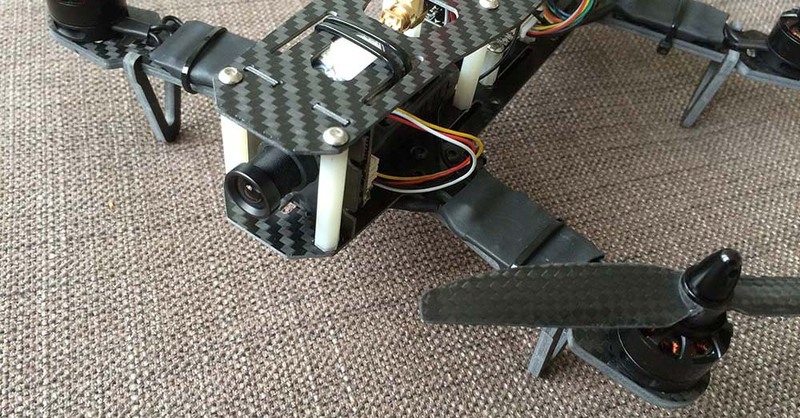 When building a new quad you most likely will have to look for a decent FPV camera as well. As with transmitters and receivers for FPV use, the FPV camera market is broad. 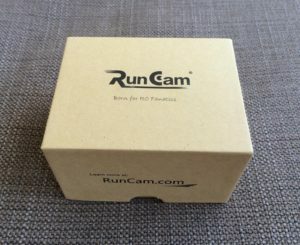 One company you will stumble across in FPV context is RunCam*. 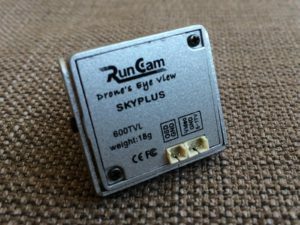 This review looks at the popular RunCam SkyPlus 600 TVL FPV camera. RunCam is know for it’s HD action cams „RunCam HD“ and „RunCam 2*„. Besides that they are offering three different board cameras that are intended to be used as FPV piloting cams. Choosing a good camera is key, especially when you are plan on flying in difficult lighting conditions. All RunCam* board cameras use 600 TVL Sony Super HAD CCD sensors. Singal processing is done by a Nextchip NVP series DSP. The product portfolio is split into three lines. 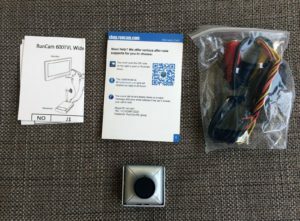 The RunCam PZ0420M*, a naked board camera, the RunCam SkyPlus and the RunCam Swing. On top you get RunCam Owl* when flying in dark / night conditions. Most of the named cameras are offered in at least two different versions: You can choose if you want a lens with or without an IR-filter. On top of that the lens type (angle) can be chosen. Common lenses* like 2.4 mm (120° FOV), 2.8 mm (86° FOV) or 3.6 mm (67° FOV) are available. Which types you can choose from depends on the certain product. I am using 86 degrees on all my quads. Which IR-option you are going for depends on your use case as well as on your personal taste. The IR-blocked version will give you more saturated colors during daylight, but has poor performance in low light application. The IR-sensitive version on the other hand has a little bit washed out colors, when compared directly. Therefore low light performance is a lot better. If you want to go flying in the dark (for whatever reason) you have to chose the IR-sensitive camera! This is true for all other camera brands as well. 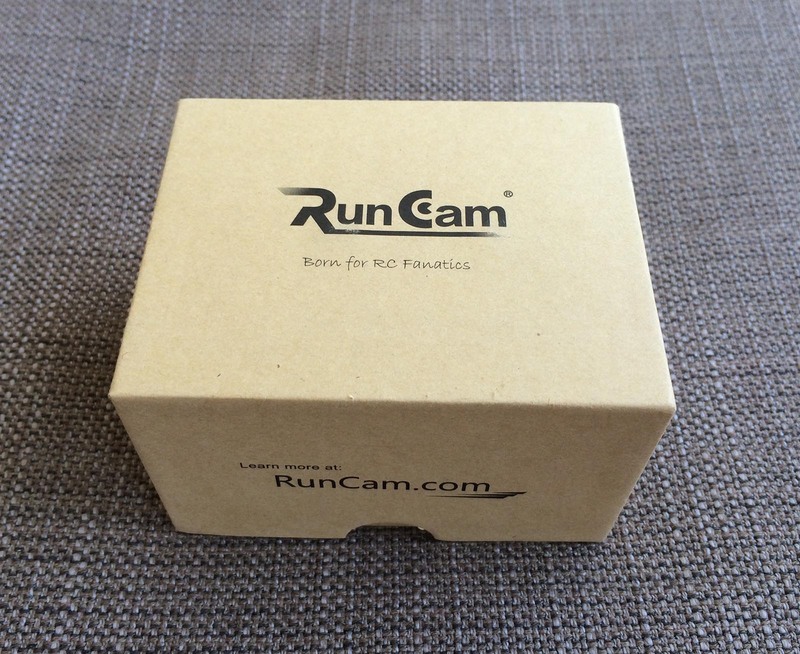 All RunCam products are delivered in a nice, protective cardboard box. Inside you will find the camera protected inside a layer of foam. On top you get a cable with some lose ends you can use in your model, as well as an adapter that allows to plug into a AV-enabled monitor / TV via RCA. 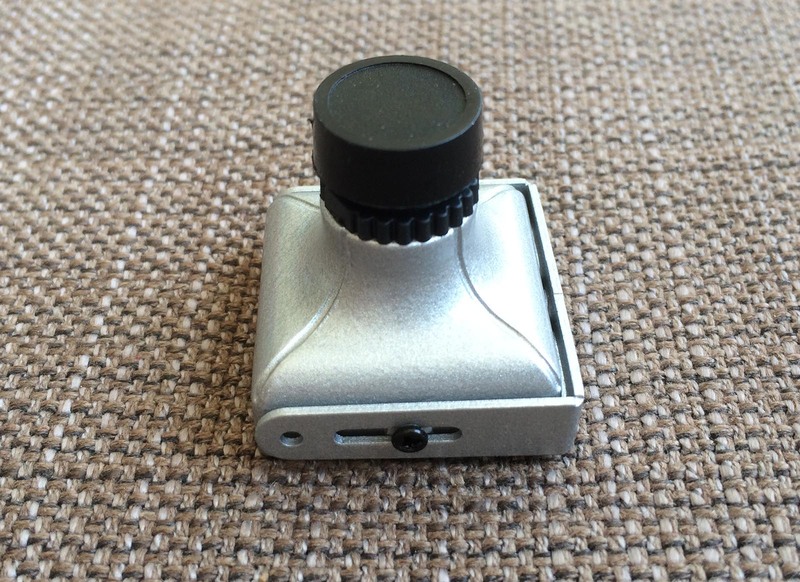 They also throw in a handy joystick tool to navigate the camera’s OSD for easy setup. A short connection guide as well as some service papers you find at the very bottom. Well, using an analog board camera is pretty straight forward. You plug in any of the adapters that came with the cam and apply voltage. You should see something now (maybe even yourself, if the camera is looking at you). The RunCam SkyPlus version is essentially the same as the PZ0420M board camera*, but comes with a neat alloy housing. This housing adds an extra layer of protection and is super easy to mount on your quad. It even allows for angle adjustments. 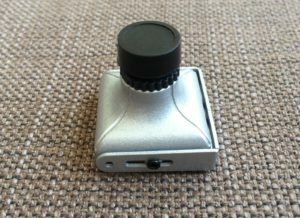 The build quality of the RunCam* SkyPlus is very good. The housing as well as the camera are manufactured by high quality standards. That’s something I have been missing on some of the cheap cams you get from China. (But: you get what you pay for). Configuring the camera is super easy. Just plug in the joystick cable in the second connector on the back of the camera. One press on the button pops up the on screen menu. Here you can change a lot of things. I found the standard settings decent. Depending on the lighting conditions I always go ahead and change white balance to get a well saturated picture. Also I disabled the auto color mode and set it to color permanently. I found it rather annoying and confusing having the cam switch between color and b&w mode at the end of a flying day when sun is slowly setting. Otherwise the digital wide dynamic range (DWDR) is working well. The camera also supports digital noise reduction. Something that comes in handy when lighting conditions get worse. Unfortunately there is no built-in microphone. What’s awesome on the other hand: The OSD* allows to set a customized text somewhere on the screen. 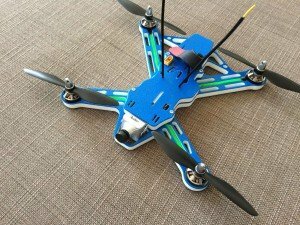 Perfect for FPV races to identify the different pilots on the track. Or to put in you call sign, if you are experimenting with some new transmission technology using your HAM license. 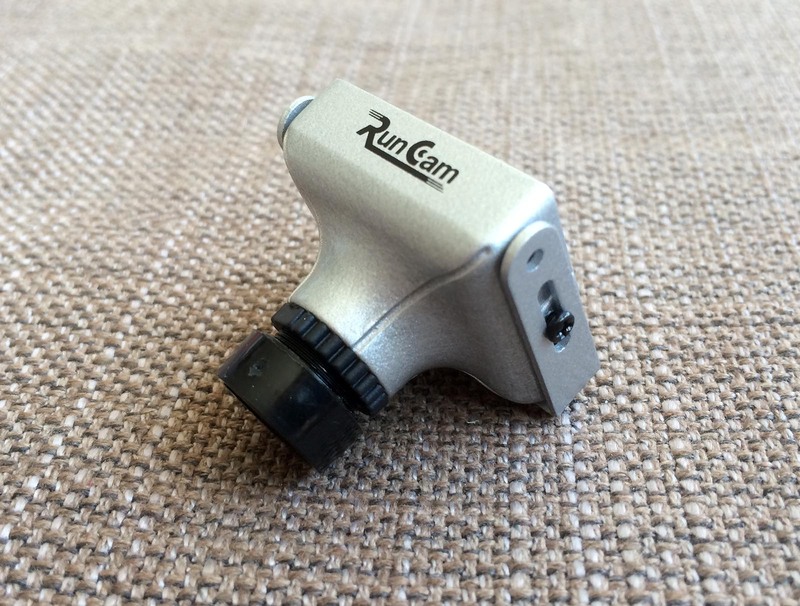 I am using my RunCams in a lot of my models at the moment. None of them has failed me, yet. As with every photo-electric device: Make sure you have protection against mechanical forces. Putting the front of your cam into a tree at 50 mph will destroy them. That’s pure physics. Even the nice housing of the SkyPlus won’t help in such a case I would imagine. Even if the housing adds a few extra grams to your AUW. 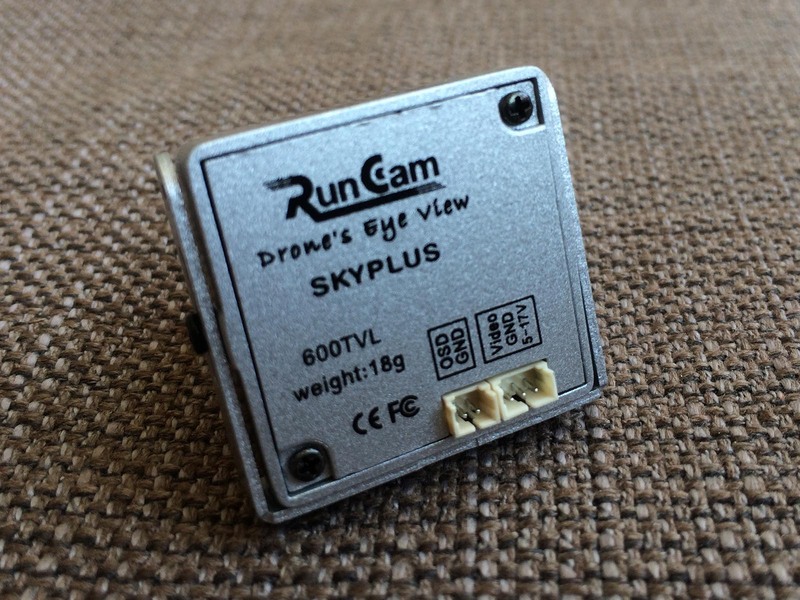 Otherwise the RunCam SkyPlus is a really solid FPV cam in the 600 TVL class. The wide voltage input is a big plus, no BEC* needed for this cam! In direct comparison with my TBS ChipChip V2 camera* it has a little less sharpness but does a lot better job on D-WDR. The OSD* config with the included joystick is easy. The camera has a lot of software features. So don’t just put it on your quad, go an explore what special feature might be handy for you! The price tag of 40 € (when buying from Europe dealer) is above average. I am well aware that there are a lot of cheaper cameras out there, that might perform equally well or only slightly worse. But to be honest: I am trusting my RunCam SkyPlus for now. The whole product seems to be made in a professional way specifically targeting FPV use. It just eases up my mind when flying to have a reliable FPV camera in the air, instead of a camera that has been designed and built as a security camera for stationary use. That’s worth the extra few bucks in my opinion. But that’s just my two cents.